This Christmas, Ross Chapman from Etch is riding 500km in the cold for charity. Who are The Beatrice Project? The Beatrice Project is a pilot scheme that has been running in rural Zimbabwe since August 2015. The project aims to help poor and vulnerable girls in marginalized rural communities by addressing some of their most basic needs, helping to restore dignity and opportunity to each one of them. Once a month, a round trip is necessary to deliver a month's sanitary provision and a workshop. That costs around £500 minimum and that's what we're aiming to raise here. What is the Festive 500? Every year since 2010 Rapha has laid down a festive riding challenge: to ride 500km between Christmas Eve and New Year’s Eve. 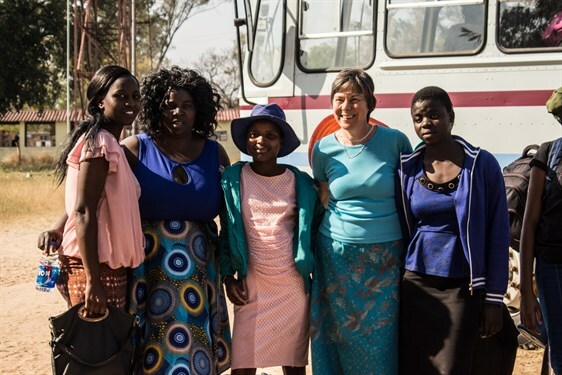 The Beatrice Project supports girls and young women in the Gwanda district of Zimbabwe (approximately 100km from Bulawayo) with the provision of sanitary protection and educational workshops on reproductive health and psychosocial issues. We are currently working with an initial cohort of 300 girls, enabling them to continue in their education and fulfil a positive role in their communities. Fantastic effort for the Beatrice girls in Zimbabwe. Thank you!! A great charity to support, Ross! Well done!